The riddle of Murder in Maumere is solved. Violence is attributable not simply to the military acting alone, or to societal factionalism by itself, but to a particular model of state governance. The 1945 revolution had been premised on the republican idea that citizens represent their interests directly and democratically to the central state through a political party. By the mid-1960s, however, many elites within the Republic of Indonesia, at the centre and in the provinces, had abandoned that idea. They favour disconnecting citizens from the central state and reattaching them to trusted local elites, who are free to act despotically. The genocidal violence of 1965–1966 was an anti-republican counter-revolution. 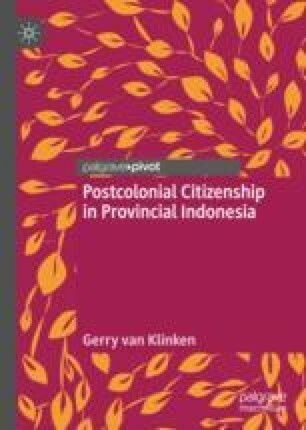 It returned Indonesian citizenship to a form of indirect rule. Today’s decentralisation adheres to the same logic, fed by a deep distrust of the central state. But dissatisfaction is growing with the corrupt patronage politics it entails. Is there a future for democratic republicanism in the global south? But if you have any reverence for Persuasion, the spell of my voice that would appease your fury—Oh please stay.